Title: I want to be a Techopreneur: The Why, What, Where, How, When and Who. Venue: SE105 SE106, FES, UTAR KL campus, Setapak, Kuala Lumpur. 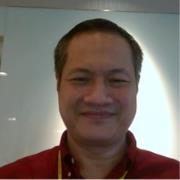 Speaker: Cheong Yuk Wai, CEO, MyBiz Solutions Sdn Bhd. In this presentation, the speaker will answer the most common questions a technopreneur will need to ask during the entire journey from product idea, research and development, product prototype, pilot to commercialisation. He will share real-life experiences and lessons learnt so that budding technopreneurs can avoid some of the pitfalls and enjoy a smoother and more meaningful journey of an innovator and marketer. Member of Sub-committee of World Enterprise Factory under World Economic Forum, Dot Force Taskforce for Bridging Digital Divide 2001-2003. SIRIM Excellence Award for Quality Practices 1993.